One of the most unforgettable scenes in the 1984 film Indiana Jones and the Temple of Doom is the banquet where exotic food like live snakes, beetles, and chilled monkey brains were served. Now, here's you chance to recreate that scene at your own banquet. 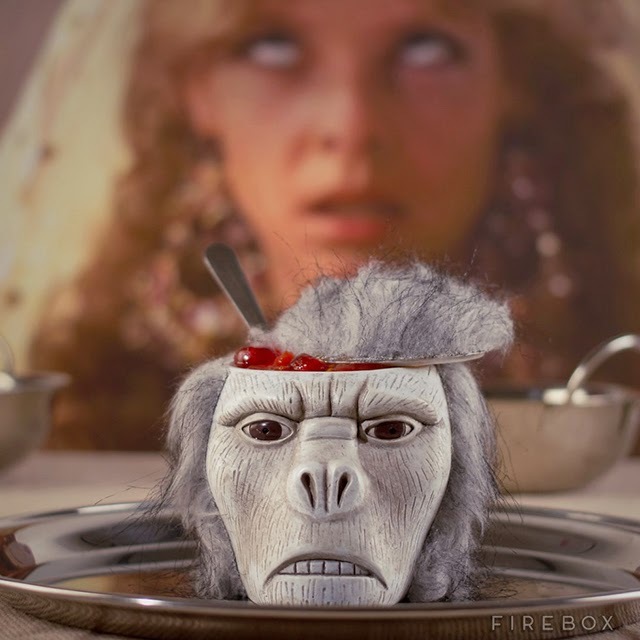 Firebox has released what it calls a Monkey Brains Bowl which was inspired by the Indiana Jones scene. The creepy severed simian storage bowl would make for a great receptacle in serving dessert. 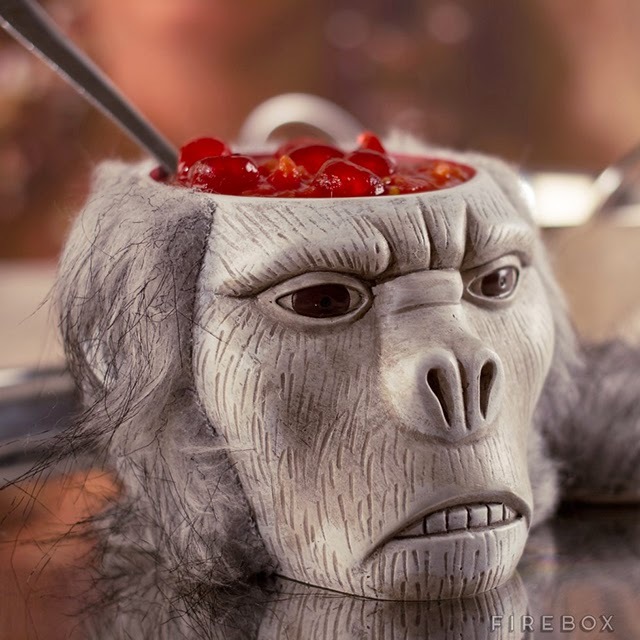 The only con of getting the bowl is that it doesn't come with "delicious chilled monkey brains".